Focusky helps you to create presentations and animated videos. Focusky Pro 2.13 (Win&Mac) was available as a giveaway on June 2, 2016! 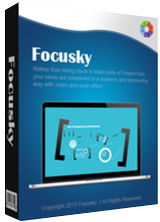 Focusky—amazing tool for a killer business presentation, helps you to create presentations and animated videos. It is the best alternative for the PowerPoint which provides the easiest way to create engaging presentation and animated videos. With Focusky, you’ll be able to take advantage of Zoom and Pan effect, tons of online templates and animated backgrounds, vectors and other deluxe online materials. Best of all, your work can be shared on YouTube as an HD video clip. If you are a Mac user, please download an installation file here (253 MB). The program provides a 6-months license. How would you improve Focusky Pro 2.13 (Win&Mac)? How I can get the code? Please give me the code. Vinsen , The giveaway ended. Did you get the code from giveawayoftheday? For the users who get this code, please activate the code follow the steps in this page: http://focusky.com/kb/how-to-activate-focusky-account-with-exchange-code.html . Remember, after register, you should go to this page to activate the code: http://focusky.com/gift-card-exchange.php . Otherwise, you are still the free users. For the users who get this code, please activate the code follow the steps in this page: http://focusky.com/kb/how-to-activate-focusky-account-with-exchange-code.html . Remember, after register, you should go to this page to activate the code: http://focusky.com/gift-card-exchange.php . Otherwise, you are still the free users. Thanks for all your support. Will not install - stalls during setup. No solution found. Tried disabling antivirus. Still not installing. Also, isnt this the exact free version that is available on your website anyway? Will not install - stalls during setup. No solution found. Tried disabling antivirus. Still not installing. Also, isnt this the exact free version that is available on your website anyway? PD, Update - was able to install. Program looks awesome. Exactly what I've been looking for. Just wish I knew what version it will be after 6 months. (if Free version, watermark will be on all presentations). If software lives up to expectations, will happily pay the permanent fee. Just don't want to put that much time into learning program if it turns out to be strictly "trial" only. Thanks for the Giveaway! Àgain: I am unable to use the Pro version. I registered, the giveaway was activatetd but the nag screen is do fast and penetrant that I am unable to go into the acount. suntsu33, Please give me your account. And did you download the desktop version? suntsu33, Or did you activate your account in the page: http://focusky.com/gift-card-exchange.php . You can refer to the tutorial on this page: http://focusky.com/kb/how-to-activate-focusky-account-with-exchange-code.html . suntsu33, Or did you activate your account in the page: http://focusky.com/gift-card-exchange.php . You can refer to the tutorial on this page: http://focusky.com/kb/how-to-activate-focusky-account-with-exchange-code.html . Thanks. Maybe the developer can check the email address bar as I got an "invalid email address, please try again" twice. Unfortunately I only have the one email address and there is nothing "invalid" about it. Hughjocapivvy, did you ever register our software? Or you can send a screenshot to me now: elinawzy@gmail.com . Hughjocapivvy, i got the email. But i can not reply to your email for that my gmail failed to send it for several times. Your email address is so special , all my emails can not reach you. I would like to send you the code personally. Maybe we can try facebook: https://www.facebook.com/profile.php?id=100009678998541 . if you want to log in using the desktop program and the log in field in the middle of the screen is suddenly covered up by a pricing plan, don't hit the close button. take the escape button on your keyboard, or you will close the whole program and not only the priving information window. Why no support for UHD 3840 x 2160p for this noncomercial 6 month trial of Pro features? TK, for all versions now, it do not support UHD 3840 x 2160p now. But we will take it into consideration for the future improvement. Thanks for your feedback. Is this GOTD the PRO or the FREE ? When I select a ROLL cartoon marked PRO, a upgrade window pop. Is this GOTD the PRO or the FREE ? When I select a ROLL cartoon marked PRO, a upgrade window pop. adif, hello, this giveaway is 6-Months pro version.Firstly make sure that you have activated your account as the pro users follow the steps : http://focusky.com/special-offer/6-months-pro-plan-giveaway.php . And if any further technical problems, feel free to contact our customer service. adif, hello, this giveaway is 6-Months pro version.Firstly make sure that you have activated your account as the pro users follow the steps : http://focusky.com/special-offer/6-months-pro-plan-giveaway.php . And if any further technical problems, feel free to contact our customer service. Thanks for your support. Indeed if I go to ABOUT , it doesn't show it's PRO and all the time I get nagging screen to upgrade. adif, Indeed if I go to ABOUT , it doesn't show it's PRO and all the time I get nagging screen to upgrade. I am having the same issue as adif and in writing you at "elinawzy@gmail", Gmail says your email address is not recognized. Please avise. Elina, I am having the same issue as adif and in writing you at "elinawzy@gmail", Gmail says your email address is not recognized. Please avise. spyglass, Hello, my email is elinawzy@gmail.com . Or you can directly contact our customer service support@focusky.com . spyglass, Hello, my email is elinawzy@gmail.com . Or you can directly contact our customer service support@focusky.com . Thanks. Thanks much. Email coming your way with a screenshot attached. Elina, Thanks much. Email coming your way with a screenshot attached. spyglass, i got it and told you the ways to activate your account. And in the future, for any technical problems, you can directly contact support@focusky.com. spyglass, i got it and told you the ways to activate your account. And in the future, for any technical problems, you can directly contact support@focusky.com. Hope it can help you! Draws upon Prezi and PowToon style presentations with (flash based?) vector presentations. Vector gives a lot of potential for creativity and the UI seems fully featured. However, the licencing rigmarole and pricing gets in the way (I still haven't been able to convert my exchange code) and, if it is heavily flash based, it doesn't have much of a shelf life. It does have potential but I have plenty of other options (Google is free, Xara is cheaper, Powerpoint and PDF are everywhere). Sad, Thanks for your feedback. You can convert your exchange code with the tutorial here: http://focusky.com/kb/how-to-activate-focusky-account-with-exchange-code.html . As you know, every software has its strong points. We try to make the presentation innovative and creative. But we will make great efforts to make Focusky more powerful in the future. Thanks and really appreciate your point. Sad, Thanks for your feedback. You can convert your exchange code with the tutorial here: http://focusky.com/kb/how-to-activate-focusky-account-with-exchange-code.html . As you know, every software has its strong points. We try to make the presentation innovative and creative. But we will make great efforts to make Focusky more powerful in the future. Thanks and really appreciate your point. Hi, well after surviving the registration climb I run Focusky. I don't see it support Unicode typing right to left. Few of my fonts do no show in the fonts scroll. so my first feedback to Elina is to correct that. **Does the presentations must to be in the account? *** If not can they be portable and run just from DOK ? Hi, well after surviving the registration climb I run Focusky. I don't see it support Unicode typing right to left. Few of my fonts do no show in the fonts scroll. so my first feedback to Elina is to correct that. **Does the presentations must to be in the account? *** If not can they be portable and run just from DOK ? adif, thanks for your feedback, about the unicode typing and fonts problem, perhaps you could send the details to our customer service support@focusky.com with images. Then we can help to solve this problems effectively. Besides, with your account, you can use Focuksy desktop version on your PC and run it anywhere. In other words, your account is just for us to recognize your service. But the created presentation can be displayed anywhere . Last, thanks for your support. adif, thanks for your feedback, about the unicode typing and fonts problem, perhaps you could send the details to our customer service support@focusky.com with images. Then we can help to solve this problems effectively. Besides, with your account, you can use Focuksy desktop version on your PC and run it anywhere. In other words, your account is just for us to recognize your service. But the created presentation can be displayed anywhere . Last, thanks for your support. This is the single most used piece of software that I have ever downloaded from GOTD. There is a learning curve; it's not Power Point. Once you learn to use it, though, it's great. I've used it in the classroom at school many times, Students love the way it zooms in and out. Unlike Prezi, no Internet connection is required! No Wi-Fi needed, people. It can be used anywhere. Swamp Thing, when you say "no internet required" you are referring to the fact that with the paid version you can save the presentation as a zip file and play THAT without an internet connection, right? To create, one DOES need internet correction, right? So with this free pro version we have 6 months to create and save locally via zip. As I read the site, any presentation saved on the cloud will NOT be available after 6 months UNLESS one pays via subscription, correct? Randy, with the version offered a couple years ago, no Internet was required at all. I created all presentations offline and saved them directly to my hard drive. I never saved anything to the cloud. When I was ready to teach the lesson, I just clicked on the file in the folder where I saved it. It opened in the Focusky program and worked with no problems with my projector and remote. Swamp Thing, I wish I had THAT version. I'd use this so seldomly I can't justify monthly/yearly payments. Is that version still available? Randy, i am not clear about which version Swamp Thing used. But it is real that without internet, you can use Focusky desktop version to create presentations. About the details, you can ask Swamp Thing for help. My suggestion is that you can this 6-Month code and activate your account as pro user firstly. And then download the desktop version to create presentation, for any further questions, you can ask our online customer service for technical help. Randy, i am not clear about which version Swamp Thing used. But it is real that without internet, you can use Focusky desktop version to create presentations. About the details, you can ask Swamp Thing for help. My suggestion is that you can this 6-Month code and activate your account as pro user firstly. 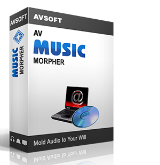 And then download the desktop version to create presentation, for any further questions, you can ask our online customer service for technical help. Thanks for your support. P.S. Elina, what might be upsetting the system is that I'm in Australia, and my email addie has the letters 'au' at the end of it. What do you suggest? I could try using a gmail address, perhaps. Elina, I've discovered that the reason why the website wouldn't allow me to register under my 'au' email address is that I already have a copy of the program downloaded in 2014. Using the code generated from using a gmail addie, I was then able to register under my 'au' email. The program no longer shows 'Free User' at the top and just has 'Upgrade Account' so I'm guessing I've registered ok for the six month license. Wendy, sorry for the delay. It is great to hear that you are the pro user now. Hope Focusky can help you to make awesome presentations. Wendy, sorry for the delay. It is great to hear that you are the pro user now. Hope Focusky can help you to make awesome presentations. The URL was wrong, (and your software keeps preventing me from correcting it). Blowfish, sorry for the mistake. Blowfish, sorry for the mistake. Thanks for your kind help. Have a nice day. Blowfish, Thanks for your kind help. What are license terms, could it be used in commercial work or got to buy license? What are license terms, could it be used in commercial work or got to buy license? Reply will be helpful. Ari, hello, for this giveaway, you can use the pro plan for 6 months. You can use Focusky to create personal or commercial presentations during the 6 months. After that , you will be the free users and still can use it to create presentations. The only different is that you can not use the pro features 6 months later. Ari, hello, for this giveaway, you can use the pro plan for 6 months. You can use Focusky to create personal or commercial presentations during the 6 months. After that , you will be the free users and still can use it to create presentations. The only different is that you can not use the pro features 6 months later. Thanks for your questions. Have a nice day! Cannot install the app. eve I had registered my account. the setup.exe file launches but with only "Close" button, and when I press it, it opens the internet browser for the activate page: https://www.giveawayoftheday.com/focusky-2-13/?activate. the setup.exe header is 'Successfully activated". Hany, perhaps you could download it again on the website: Windows: http://focusky.com/download/index.php?platform=win ; for Mac: http://focusky.com/download/index.php?platform=mac . Hany, try temporarily disabling your antivirus before running setup.exe. Hany, hope it can help you create more stunning presentations. Any questions, feel free to contact our customer service on the focusky.com . What happens after 6 months? Reverts to some other version, quits working, uninstalls itself? Nag screens to buy? mindymac, after 6 months, you will become the free users and keep create presentations with Focusky. But you can not use the Pro features. Elina, what happens after 6 months to content beyond the 10G free license limit stored in the unlimited cloud storage provided as part of the pro license when the product reverts to the free license? There are more examples created by Focusky : http://focusky.com/digital-presentation-examples.php. Elina, when I clicked the url link http://focusky.com/digital-presentation-examples.php. I got this message: The page you are looking for might have been removed, had its name changed, or is temporarily unavailable. Ari, i try. It can not directly click .May be you can copy and open it on your browser. The page in this url works now. Or you can find the Case Study on its official website: http://focusky.com/. Btw, some great examples of the program's capabilities. Elina, you've accidentally put in one full stop too many. This link addie works ok: http://sur.ly/o/focusky.com/digital-presentation-examples.php/AA005599 Btw, some great examples of the program's capabilities.